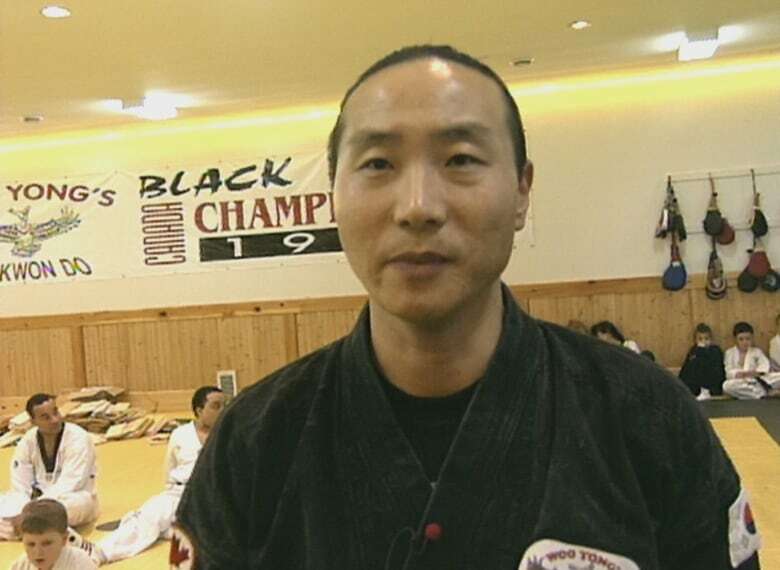 A Nova Scotia dad whose son was hit with a cane is defending the taekwondo instructor who handed out the discipline. 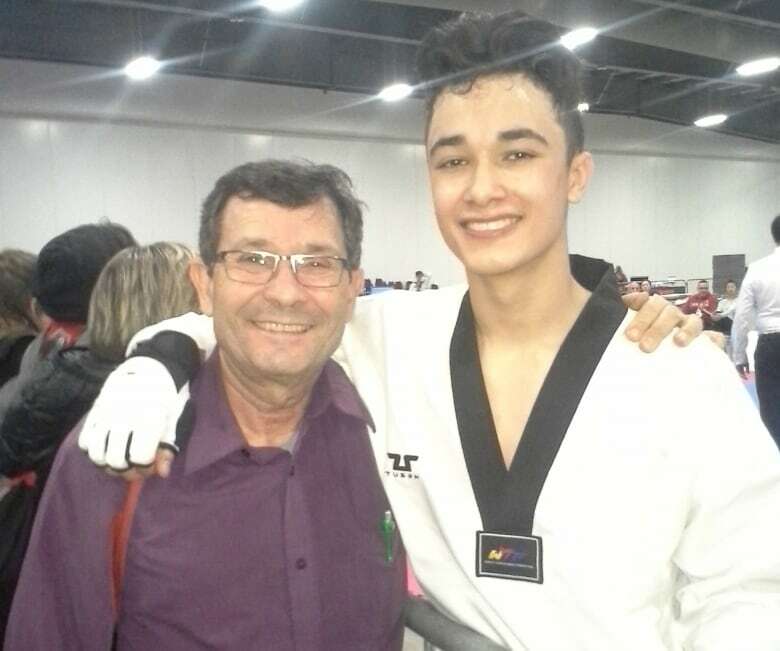 A Nova Scotia dad whose son was hit with a cane is defending the taekwondo instructor who executed the punishment. 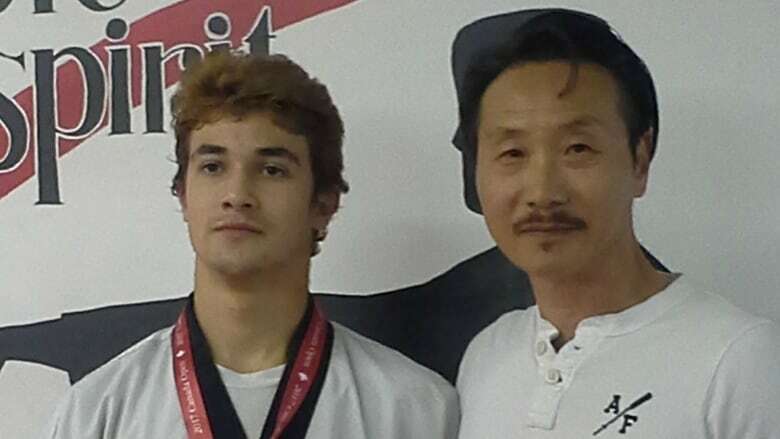 Woo Yong Jung, grandmaster and owner of Woo Yong's Taekwondo Academy in Halifax, has been suspended from national and international events after he struck Rolf Meier's son, Rodrigo, with a bamboo cane in January. Concerned parents complained of corporal punishment, but Meier said the action fits within the context of taekwondo and that the whole incident has been blown "way out of proportion." He has three kids who train with Jung and said he's at the academy several times a week. "This happened now 80 days ago and now it's all over the press, and we are astonished as parents because Rodrigo was not hurt in any way," Meier told the CBC's Information Morning. What he's really mad about is that his other son, who is 16, won't have a coach when he competes at an international championship in Tunisia next month. "Now [Jung's] prevented from going and he has enemies in the Maritime Taekwondo Union," Meier said. "They're taking this now and pulling it in all directions so that he cannot function as a coach. That is their aim." The caning incident was reported on Jan. 15. The union said a second incident in relation to Jung's behaviour at the National Taekwondo Championships in February is also being investigated. Meier said his son acted "abominably" during a Christmas party and was drunk when he physically attacked Jung. He said Jung gave Rodrigo a choice: stop training with him or apologize and accept punishment. "Physical punishment in that sport, in Korea at least, is quite acceptable under certain circumstances," Meier said. "Rodrigo was very grateful that he could escape not being able to train anymore by Woo Yung Jung and he gratefully accepted the punishment, and he was never an issue," he added. Meier reiterated what Jung's lawyer, Jason Gavras, told CBC News earlier this week: the union is trying to damage the grandmaster's reputation. Union president Douglas Large said earlier this week that he's not involved in the investigation in any way and that corporal punishment is not part of taekwondo. Byron Kendell, chairperson of the Woo Yong Parents Association, also said he supports Jung. "I've been with Master Jung for years now and have never seen something like this.… So it's not something that obviously is common," he said. "Nor is it common to see a young man behave in an aggressive manner toward his own master or to his own teammates." Meier agreed that he's never seen punishments like this handed out at the academy, but that screaming and kicking "is an everyday affair" in taekwondo. "It's a very tough sport where you hit each other and where you scream at each other. It is a very physical sport where you wear protective gear, and it's contact with your legs and you kick each other physically as hard as you can. It's tough," Meier said. The results of the investigations into Jung's behaviour will be handed over to an independent discipline panel for review, the union said in a news release earlier this week. Sanctions range from dismissal of the complaint to permanent expulsion from the union. Halifax Regional Police investigated the incident, but did not lay any charges.